Tulamben is a small town on the north-east coast of Bali. 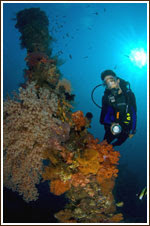 It is a popular dive site in Bali. It is a very easy wreck dive and may by done by divers of all certificatin levels. It is accessed directly from the shoreline and located about 25 meters from shore. At it deepest point, it is about 30 meters from the surface and it tops out at about 5 meters from the surface. 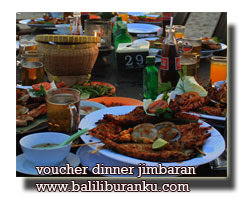 Tulamben Wreck is situated directly near the beach on Bali's northeast coast. The 120m long wreck rests in a 90 degree angle with the deck facing the sea side and used to be an American supply ship named „USA Liberty". Anchored off the coast of Lombok, the ship was hit by a Liberty Wreck Bali Japanese torpedo during World War II. Miraculously nobody got hurt, but the damage turned the ship into a non-functioning and useless hull. The American Navy's plan to tow the ship to Singaraja harbor (north Bali) failed as the harbor was completely occupied, so the ship was intentionally stranded on the rocky beach of Tulamben, where it was unloaded. In 1963 the volcano Agung erupted and the magma flow pressed the ship back into the sea where it presently rests at a depth of 3 to 29 meters. Since then, coral covered the wreckage completely and turned it into a home for many species of fish. From time to time, a Napoleon fish or huge barracuda drops by. You may dive or snorkel this wreck comfortably, accessing it directly from the beach. Highlight: the wreck is easy to dive even suitable for discover scuba diving . Tulamben Wall ...divides into three great dive sites: the wall, the coral garden and shark point. All dive sites can be accessed directly from the beach. The Wall starts at a depth of 1 m to then drop straight to 40 m. Besides amazing coral growth this reef also features an unbelievable landscape sculpted by many overhanging rocks. The presence of smaller reef fish is abundant, with angel fish being the species worth mentioning. Besides emperor angel fish, yellow-faced angelfish and blue-banded angel fish can be found with the duke fish rounding out the selection as a member of the angel fish family. 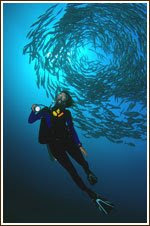 Quite often, huge schools of jack fish pass the wall, darkening the sun. Although it is a wall, this dive site is also suitable for snorkeling. 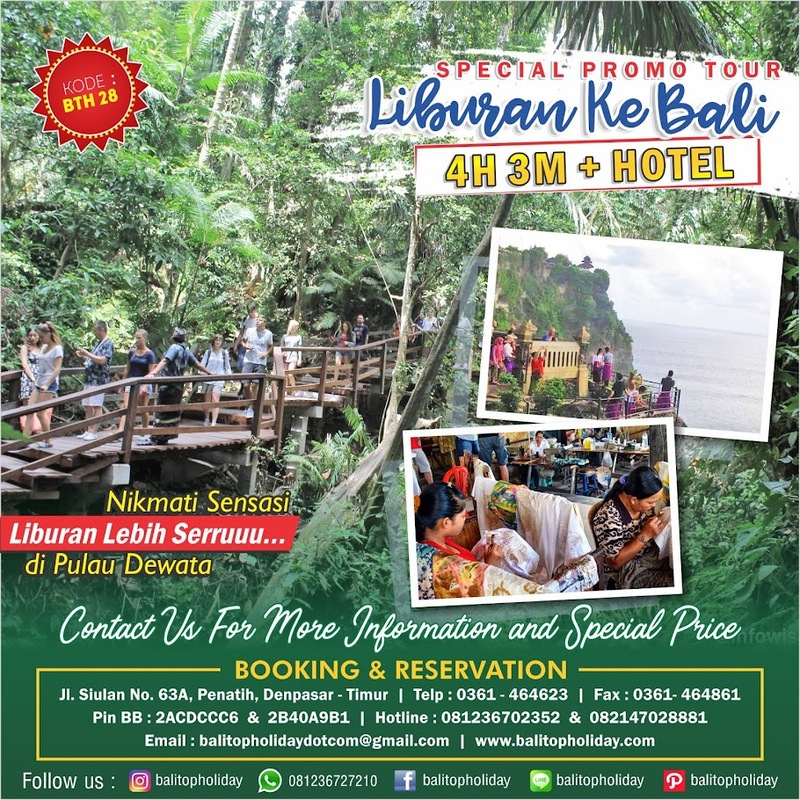 The coral garden is only about a hundred meters away from Tauch Terminal Resort Tulamben, which is located directly at the beach. The coral garden starts at a depth of 2-15 m and is wonderfully grown featuring stone- and soft coral alike. Besides numerous species of reef fish, the beautiful blue-yellow ribbon moray eel has found a home here. This dive site is also a superb snorkelling spot with none to moderate current. Sharks in BaliShark Point can be reached via snorkelling close to the wall. The residing sharks are commonly whitetip- and blacktip reef sharks and may rest at a depth of 20 to 30 m in a sandy area. When currents are present, occasionally grey reef sharks and even hammerhead sharks circle the blue. The current may become quite strong here and sometimes cold water might swell up forming thermoclines. Thermoclines may lower the water temperature to 24 degrees for a short period of time. This dive site is not suitable for snorkelling. All above mentioned sites are ideal for a night dive. You will see the Bumphead sleeping family in the wreck, morey eels swimming or even the spanish dancer! 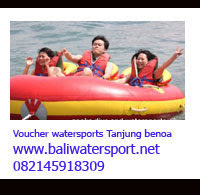 This site can ben reached by boat (10 minutes ride with the local fisherman's boat). A higher chance of bigger fish. A huge napoleon and whitetip reef sharks are frequently encountered here. The island is known for its exceptional drift dive. Life is just extraordinary, and visibility usually over 30-40 metres. The biggest chance to see big fish. We dive the shark point where encounter is most likely, and also at Mimpang where we usually see whitetip reef sharks. The small village Amed hide various dive sites accessible form the shore with the local fishermen's boats. Nice corall walls and abundant marine life..